A Speedster is a simple but powerful car meant for speed, fun, and adventure. The latitude in that definition allows for how different manufacturers in different time periods interpreted just what that term meant. The concept evolved. A confusion of terms often prevailed between manufacturers; there was not a standard definition of “speedster” established by the SAE, which codified definitions and descriptions of known popular models of cars in 1916 and 1922. One make’s “speedster” was sometimes called a “roadster” by another. The SAE sought uniformity by just using the term “roadster”; more about that in another post. Keep in mind, however, the hierarchy that was described previously. And the definition. 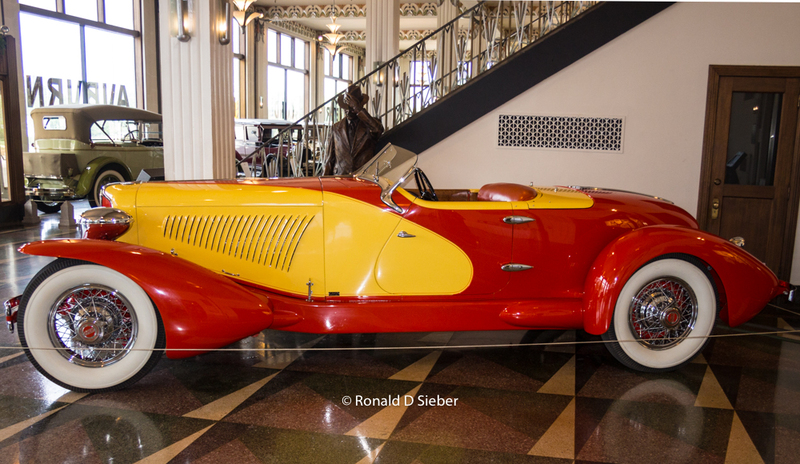 To add to the confusion, early car makers would often creatively name their speedster models, names like “Gunboat Speedster”, “Semi-Racer”, “Jack Rabbit” or “Raceabout”, but the popular press and the enthusiast on the street knew what these cars represented. They called them speedsters. 1907 Apperson JackRabbit courtesy Elwood Haynes Museum. So, let’s enlarge this idea of “speedster” by introducing three examples from three different time periods to show how the concept evolved. More about the types later; each deserves its own segment and we'll get to that in another post. 1914 "cutdown" speedster courtesy Antique Automobile. Using a term from the period, a cutdown speedster, as seen in the illustration, was a bare-bones road car. Most often supplied with two seats, sometimes a third one called a “mother-in-law seat” tagged along at the back. Some cutdowns were manufactured; some were home-made. The cutdown consisted mainly of a frame, a cowl covering the engine, open seats, and oil and gas tanks strapped to the deck behind the seats. Spare tires were an option and often mounted off the rear bumper. Some examples, such as various home-built Model T speedsters, were literally production cars stripped of their bodies to make a cutdown. Other makes, such as the 1910 Flanders, manufactured speedsters in this configuration. They were simple, racy-looking, and they attracted attention! 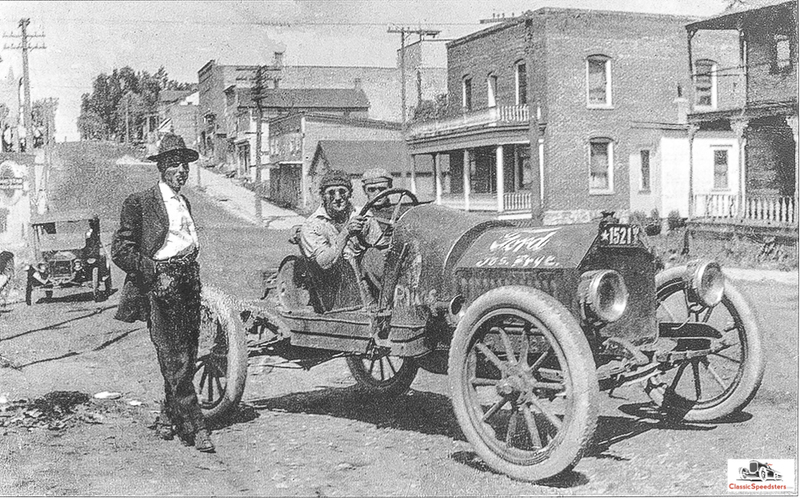 Early street speedsters closely resembled and sometimes even doubled as the company-sponsored track cars that were then competing on hills, road courses, and county fair tracks across the country in the first decade of the twentieth century. 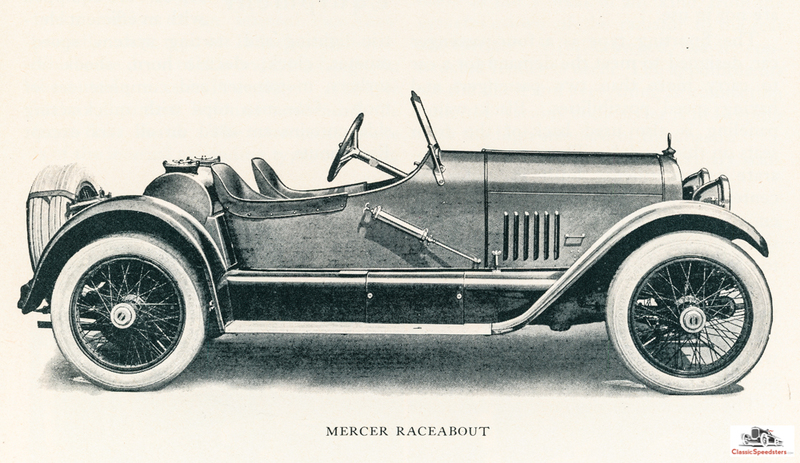 These types of speedsters, including the Mercer Raceabout, flourished from approximately 1904-1915. They were often dual-purpose, built to drive on streets but also compete at the track. 1911 Mercer Type 35R Raceabout courtesy AACA Library. As racing speedsters evolved into purpose-built vehicles, street speedsters developed sporting bodies to provide more weather protection, comfort, and safety. They were often sold to the country club or college-bound set of autoists. 1921 Haynes Model 48 Special Speedster courtesy Elwood Haynes Museum. They were still more spartan than roadsters or convertibles, and some did not even offer a top. In terms of hierarchy, one could say that speedsters were the least-outfitted and the most powerful. Roadsters were dressier and may have also had a powerful engine. Convertibles (cabriolets) were the most enclosed and accessorized, and were the least powerful of the three when compared together. Most speedsters had only two seats in the cabin, but some also offered additional pop-out running board seats, sometimes referred to as “suicide seats”, while others had a rumble seat in place of a trunk. The 1921 Haynes Model 48 Special Speedster seen above, as well as the 1919 Mercer Raceabout seen below, were definitely more clad than their counterparts of just 10 years prior. They were the antecedents of modern sports cars and were marketed mainly from 1915-1925. 1919 Mercer Raceabout courtesy AACA Library. The mid-twenties witnessed an explosion of design innovation, and toward the end of the Roaring Twenties decade, gussied-up coachbuilt cars were being created to supply the newly-moneyed class of wealthy and famous people. Some of the most exquisite examples created during what was known as the Coachbuilt Era were speedsters. They were offered both as factory-built models or custom-built from bare frame by independent coachbuilding firms. Although much better outfitted than their predecessors, these beauties were still more austere than their contemporaries. Speedsters of this era offered seating for two, two plus two, four, and even up to seven. Most were open cars, but some had fixed tops. Consider the 1930 Packard 734 Speedster line: two models were convertibles, the Speedster Runabout and the Phaeton, while two had a fixed top, the Victoria and the Sedan. Shortly after the 734 initial introduction, another model, the Speedster Roadster was added (no boattail as in photo in order to accommodate a rumble seat). As you can tell, the definition of "speedster" was being stretched! 1930 Packard 734 Speedster Runabout courtesy Kanter Brothers collection. Coachbuilt speedsters as works of art were meant to cruise in style on the urban boulevards rather than venture down a dusty back road. These cars dominated during the gilded age of automotive design, the Coachbuilt Era, approximately spanning the years 1925-1940. 1931 Cord L-29 Speedster, ACD Museum 2017. Go have some fun in your speedster! 1935 Auburn 851 Speedster, Gilmore Car Museum 2017.